Sterling slipped back from two-month highs on Friday, but steadied at around the $1.35 mark. The pound broke through the $1.35 level on Thursday amid hopes of a settlement on the so-called Brexit "divorce bill" and the Irish border issue. By Friday evening, sterling was 0.1% lower against the dollar, and it also fell 0.2% against the euro to €1.1334. 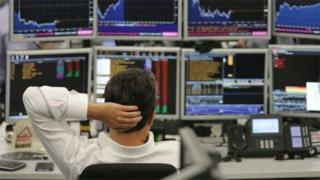 On the stock market, the UK's benchmark FTSE 100 index ended 26.18 points lower at 7,300.49. Primark-owner Associated British Foods was the biggest faller in the FTSE 100, down 2.6%, while the Royal Bank of Scotland shares fell 2.3% by the close of trading. In the FTSE 250, shares in Indivior increased 3% after it said its drug to tackle opioid addiction had been approved by the US Food and Drug Administration.